Shoot, sneak, and think quickly. Lure the aliens to fight the marines. Notrium has six possible endings, but can you reach any of them? The Human is weak, relying on weapons and items for survival. The Android is very strong, but can only heal himself with repair units. 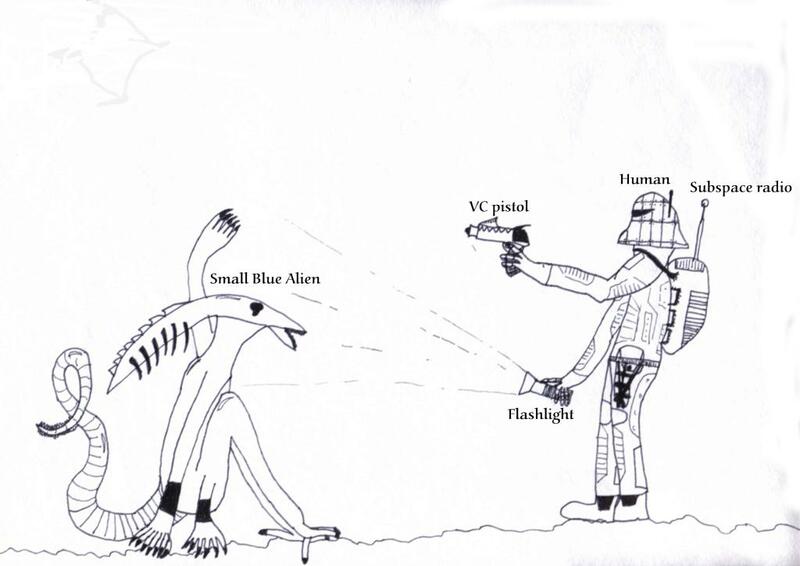 The Alien gains fearsome hunting skills through evolving. The Psionic has unique mental powers, but cannot carry anything. To install a mod, unzip or install it into the game install directory. 36 years after the events of Wazzal and four years after Notrium, the Alien threat has re-emerged to finish what they started! The United Confederacy of planets is in ultimate peril as massive Alien fleets begin their relentless drive towards the capital New Dawn, leaving nothing alive. Humankind's last hope lays on the shoulders of the enigmatic "Captain", the only survivor of the doomed Sol System and the terrible planet of Notrium! Impalpable Eidolon is a side scroller mod from Quanrian. Who knew you can hack a top-down engine to do side view? Opposing Force takes place at the time when ville corp first arrived in Notrium, and follows the story of how they colonized the planed and dealt with the alien inhabitants. The player takes the role of a simple marine who must complete the assigned missions in order to rise in rank, salary and authority through the corporation. Eventually he will have to deal with the survivors who crash-landed into Notrium. This mod is a gameplay modification based on the original Notrium. It changes several things to make the games more convenient to play such as adding quick keys for the armors and targeting systems and placing the two randomly-placed Psionic portals in set locations guarded by brown aliens. Want to make a better Notrium? Join the OpenNotrium project. The captain of the Var' Equinallin was leading his ship and crew to the Hive sector in a routine exploration expedition, but found an ancient and mysterious planet awaiting them. Notrium. Before the captain could decide whether or not to land, a volley of missiles flew up from the planet and shot down the unprepared ship. Isolated on a faraway planet, with most of his crew dead, the captain must survive by outwitting the Ville Corporation's merciless marines, reuniting with the scattered survivors, and uncovering secrets about himself and Notrium. His journey is one of self-discovery and survival. To top it all, a surprise!